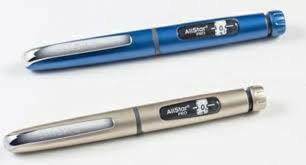 Diabetes Insulin Delivery Pen Market|Key Players Novo Nordisk, Eli Lilly, Sanofi, Owen Mumford, Ypsomed, Biocon Ltd.
Diabetes Insulin Delivery Pen market will surpass US$ 14.4 Billion by 2025. “Diabetes Insulin Delivery Pens Market Research Report 2018”presents an in-depth assessment of the diabetes insulin delivery pen market dynamics, opportunities, future roadmap, competitive landscape and discusses major trends. The report offers the most up-to-date industry data on the actual market situation and future outlook for diabetes insulin delivery pen market. The report includes historic data from 2011 to 2017 and forecasts until 2025. The report contains a granular analysis of the present industry situations, market demands, reveal facts on the market size, insulin pen volume, revenues for insulin pen and its segments reusable and disposable insulin pen and illustrative forecast to 2025.It also provides an all-round analysis of overall number of patients with diabetes and insulin users. A comprehensive analysis has been done on market share of diabetes insulin delivery pen segment and countries-based market.The report also explores detailed description of growth drivers and inhibitors of the diabetes insulin delivery pens market. The superior geographic segments are identified in the report, which also studies the prospects showcased by the emerging markets. It covers United States, United Kingdom, France, Italy, Spain, Germany, Japan, China, India and Brazil from 2011 to 2017 and forecasts to 2025. The report concludes with the profiles of major players in the diabetes insulin delivery pens market. The key market players are evaluated on various parameters such as company overview, product portfolios and recent development of the diabetes insulin delivery pens market. Novo Nordisk, Eli Lilly, Sanofi, Owen Mumford, Ypsomed, Biocon Ltd.